Among the calamitous array of infrastructural glitches we stumble across in Kerala, stand one illustrious model waiting to be emulated across the globe. The inspiring story of the Cochin International Airport Limited (CIAL) in Nedumbassery. In the road or railway development front, Kerala cuts a dismal picture with 2-laned pothole filled congested 'highways' and sporadically doubled, mostly unelectrified rail lines. Things appear better in air travel with the presence of 3 international airports in the small state. But things weren't so rosy when the idea of a new airport was conceived as early as 1992. 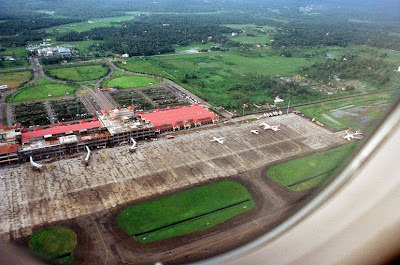 The airport which existed on the Wellington Island inside Cochin city limits became chronically disabled with space constraints and geographical barriers providing little scope for development. The thoughts for a greenfield airport were born and against all odds this massive project took off in early 1998. The usual incessant roadblocks in the form of land acquisition or political foul plays were dealt promptly and astutely and the airport opened its skies for the first aircraft landing on June 10th 1999. The airport immediately struck national headlines as the first private airport in India and also as a major infrastructural project built using people's money. It was the first PPP(Private-public-partnership) project undertaken on a big scale with 74% of the cost raised from NRIs. Kerala has exhibited something never witnessed before in India: a new state-of-the-art international airport in 800 acres at just 230 crores INR!!! Interestingly, as the airport enters the second decade of service, a similar one planned along with it in Bangalore is still limping its way to the finishing point. CIAL has, over the years, become a bookmark on a multitude of aspects. From its traditional architecture, professionalism in management, streamlined and passenger friendly service to the landmark model of execution, CIAL has become a reference for any such project planned in the future. But at the first place what had made this project a resounding success unlike the despondent public sector tragedy tales we have around us? Political willpower was a key element in CIAL's success. The airport is indebted to K. Karunakaran and his guiles in people relations. The powerful Cochin business community was all-hands-in for the project. The inspiring, influential and thoughtful CEO in V.J. Kuryan IAS made sure that the customary red tapism was minimal. His vision and skills have laid the foundations for the airport.They also succeeded in making the media work positively for the project, rather than against. A huge no of NRI population involved just meant that the weapons of the distractors were dented. Together this political-administartive-business alliance scripted what now has become a feather in the cap of Kerala's development. A striking feature of CIAL is the way it went in doing business. Kerala has never been a big business destination and the airports survived mainly on the Kerala community in the middle east. CIAL would keep the existing customer base and also exploit more on one of Kerala's strongholds: its natural beauty. 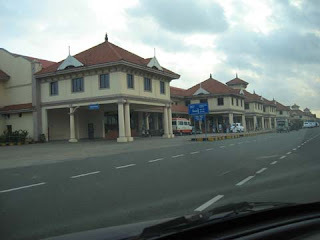 CIAL was probably the first airport to formulate an organized plan to attract tourists to Kerala, but not entirely dependent on chartered flights. Road networks to major destinations including Munnar and Kodaikanal were envisaged. Connectivity was one of the major advantages enjoyed by CIAL over other regional rivals. 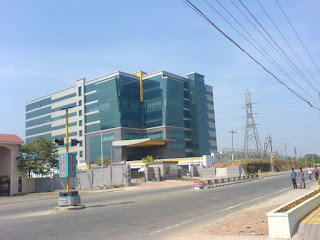 Apart from the central location in the state, CIAL has proximity to NH 47 and MC Road, the two major highways in Kerala. The Ernakulam-Shornur railway line borders the western side of the airfield and a new railway station is planned for the airport city. CIAL has even drafted an outrageous idea to rejuvenate the canal bypassing the terminals, make it navigable and connect it to the National Waterway; if it materializes CIAL will hold the unique status of being accessible through road, rail and water. Now CIAL set about making its foundations more stronger, in other words strengthening its commercial background. In early 2000 Cochin was still struggling to shrug off its tag as a small city, a mini-metro, even though it constituted the industrial backbone of Kerala. The idea of a SEZ, with CIAL and the proposed Container Terminal in Vallarpadam as fulcrum was mooted. The new road connecting the two focal points was inaugurated in 2003, christened the Seaport-Airport Road. This highway is already rewriting the horoscope of Cochin and in the next phase it will connect the IT City blossoming on its corridors to the Airport. One highly appreciates the foresight of V.J. Kuryan and his team on witnessing the airport development plans, almost 10 years after inauguration. He even awarded the construction of boundary wall to six different contractors to speed up work. His vision of a fully fledged airport city is slowly taking shape in Nedumbassery and when complete it will become the first Aerotropolis in India consisting of an 18 hole golf-course, IT Parks, Shopping arenas, residential avenues, star & budget hotels and more. Perhaps this Aerotropolis would hopefully become a benchmark in urban planning, unlike the planning mishap that is called Cochin now. And this can also be an eyeopener to the bunnys of the much touted Bangalore International Airport who have finished an airport without a proper approach road! I've a feeling that time has come for CIAL to aim for the stars. A report I came across the other day claimed that CIAL is constructing an exclusive A380 hanger. First I thought it extravagant, but with Kingfisher awaiting International License and the super-jumbo order in place, CIAL would ideally be a second base and hub for the growing airline giant. It would turn out to be a boon for the millions of expats in Europe or America who had been longing for a direct Kerala touchdown for long. Not to mention the trade and tourism windows opening furthur! Improved connectivity to and from the city. Metro rail must reach Nedumbasserry, along with the Railway station and boat terminals planned. Blueprints for a second runway and conjointed infrastructure improvements have to be drafted before the airport reach choking figures. And if the runway recarpeting works are planned in the same way as it is being done now, then 'God save the Queen', that's all we can say! CIAL is now contemplating the idea of emulating its success story inside and outside India. 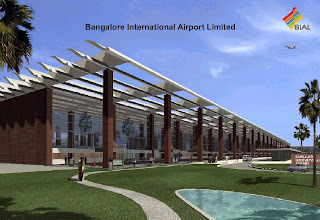 Recently it received a proposal to build a similar airport in Srilanka. As it is spanning out, CIAL's intent to own and operate at least 5 airports by the end of 2020 is gradually realizing. The Cochin International Airport is certainly becoming the diamond in the Queen's necklace.